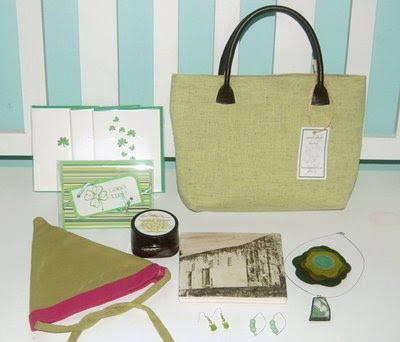 Just in time for St. Patrick's Day, BEST will be raffling off a bounty of handmade treasures, including work from sweetpepita, jennygwen,miscelena , byamandagotsch, jenmenkhaus, thebrokenplate, dandelionblu, colescloset, vwstudiosand SpaTherapy. These pieces and more will be given away to one lucky member of our mailing list, so sign up now! The drawing will take place on March 10th, and the package will be mailed once we receive a mailing address.